Once again this year, the ACL will be a collection depot for the Newton Food Drive. Food instability in Newton is growing for children, elderly, and families. 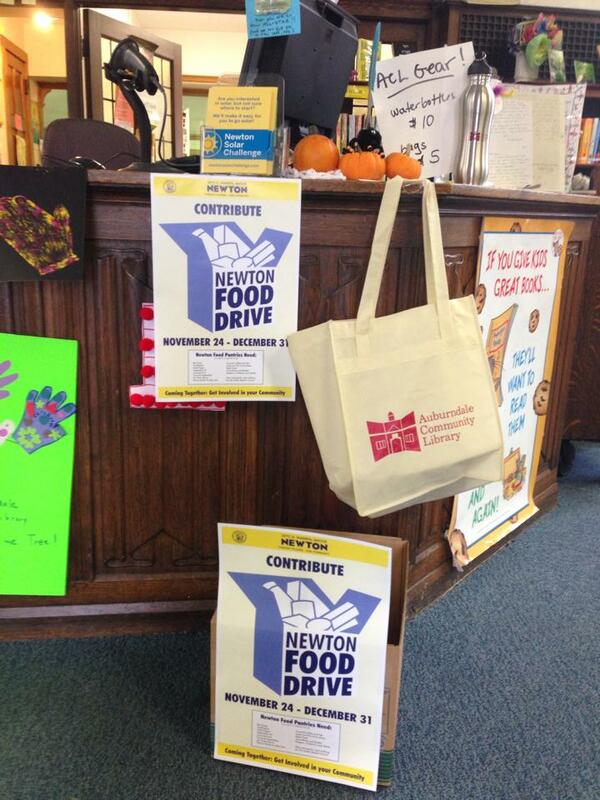 There is a vital need for donations in our city–Newton has 4 food pantries serving over 1500 residents monthly. Please bring a donation when you visit the library! The city will pick up our donations for us this year. Anyone who wishes to help with the sorting and distribution of the goods to the food banks is welcome to report directly to City Hall on the morning of Sunday, December 31st at 9:00 am. Say goodbye and thank you to Mayor Setti Warren!